I'm excited to be showing the Spiral Lamp this year in Milan during the Salone del Mobile as part of the Designersblock exhibition. I won't be able to attend in person, but will be joining fellow Tokyo designers Keiji Ashizawa, Mikiya Kobayashi, and Drill Design in a group submission. 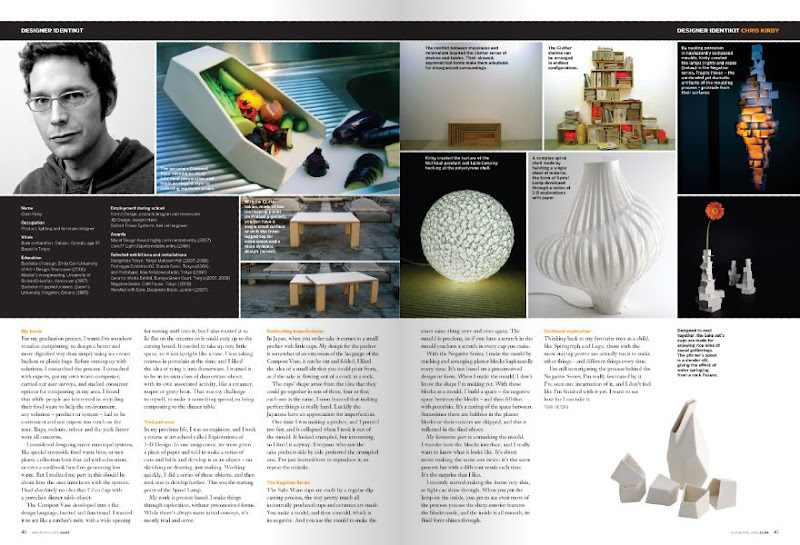 Canada's Azure magazine has me featured in this month's Identikit, written by design journalist Terri Peters. During Design Tide, she visited the studio where I work, we made some ceramics, and talked about chaos and the joys of having nothing turn out according to plan. 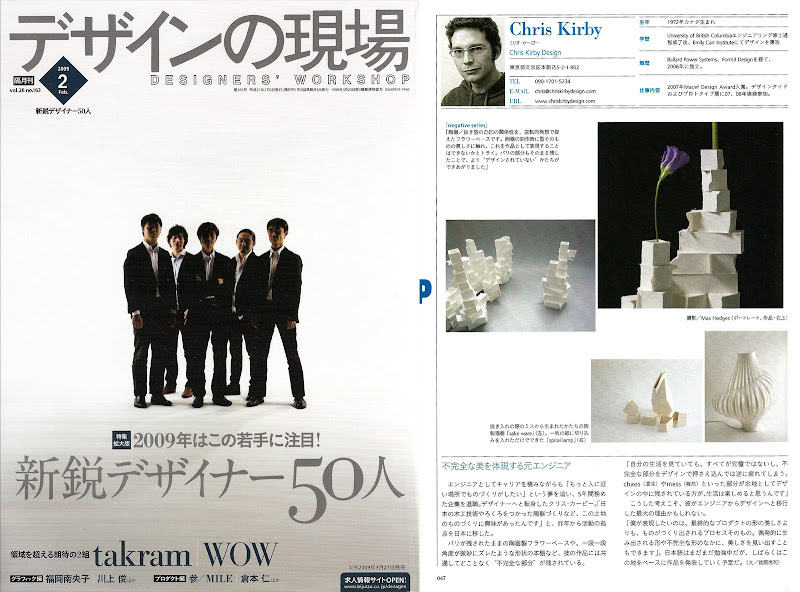 I was included in the recent special edition of Dezain no Genba (Designer's Workshop) as one of 50 designers to watch in 2009 along with several other alumni from the Prototype exhibition series. 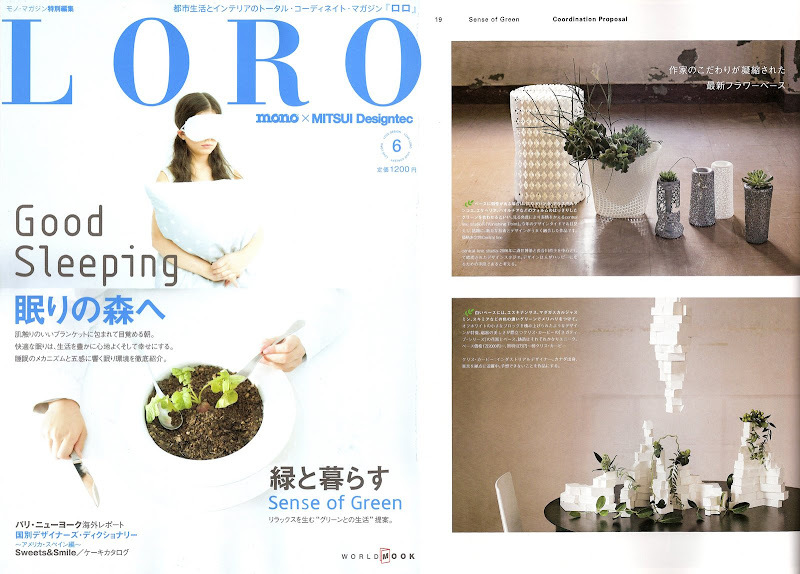 Article by Hisashi Ikai. Japan's Pen Magazine ran a nice article on my work on the Negative Series. Design Tide Tokyo is the high point of my design year and this year the organizers put together a fantastic event at Tokyo Midtown Hall in Roppongi. I showed the Negative Series vases and lighting to over 30000 guests. Everyone was really interested to hear the story of how the pieces are made and many were surprised to learn that they're made from porcelain. It was fun to hear peoples' guesses which ranged from paper to silicone to white chocolate! 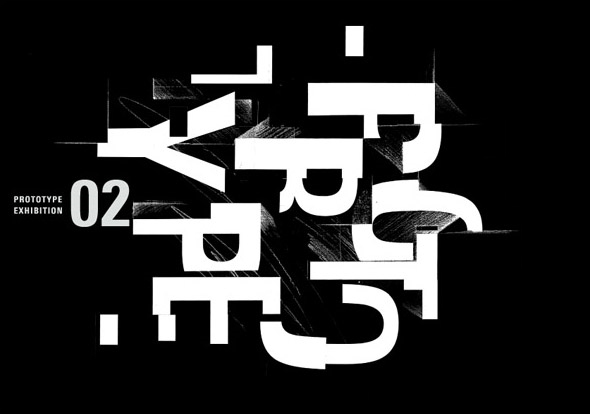 This year's "Prototype 02" exhibition is twice the size of last year's and continues the tradition of showing new and experimental works by young Tokyo designers with a focus on process and idea creation. 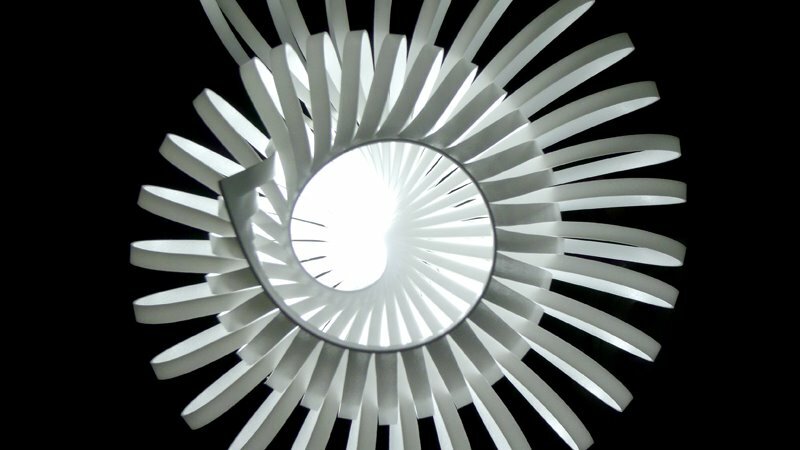 I will be showing the Spiral Lamp, a design arrived at through experimentation with slitted pieces of paper.